Thanks so much for your interest in what I do. Each time when another notification lands in my inbox, it is a reminder that I should keep on trying my very best to serve people like you. 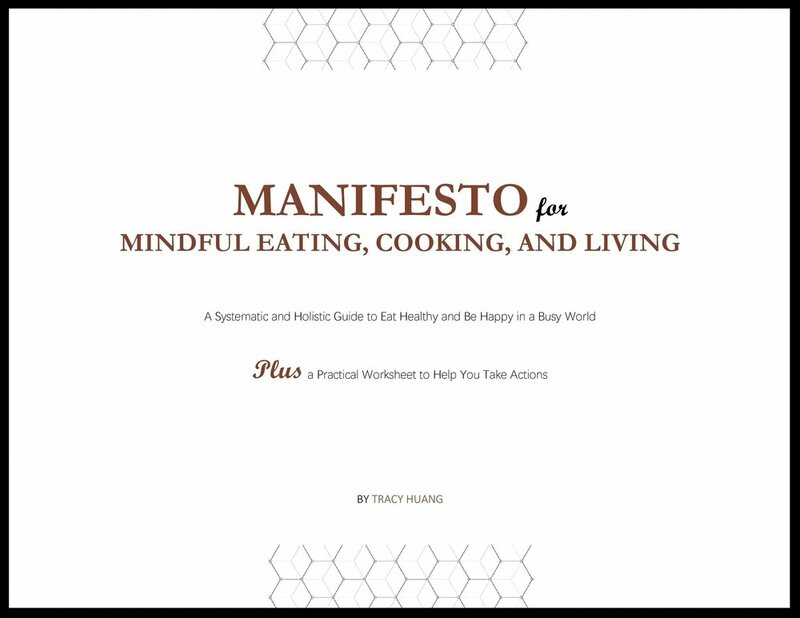 Below is the guide that will give you an overview of what I refer to as "holistic eating" to explore how to eat, cook, and live the right way - it is the "engine" behind this website and the framework I am applying to my life. As always, you are more than welcomed to ask me any question (or, just to say hi to me) at tracy@tracyhuang.me. I look forward to helping you live a more focused, peaceful, and joyful life. Important note: if you haven't, please be sure to add my email - tracy@tracyhuang.me - to your contact list, so that all the goodies I create for you will not accidentally be passed to your junk mail folder.